We have been reading a lot these days. The shorter days make it harder to stay outside too late and cuddling up with good, holiday books has been a nice alternative. 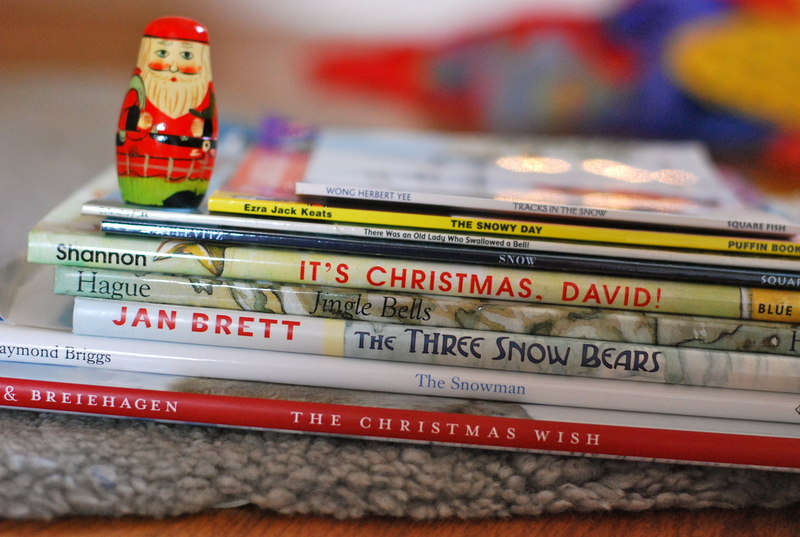 Every week we pick up several holiday books at the library (see above for this week’s finds). 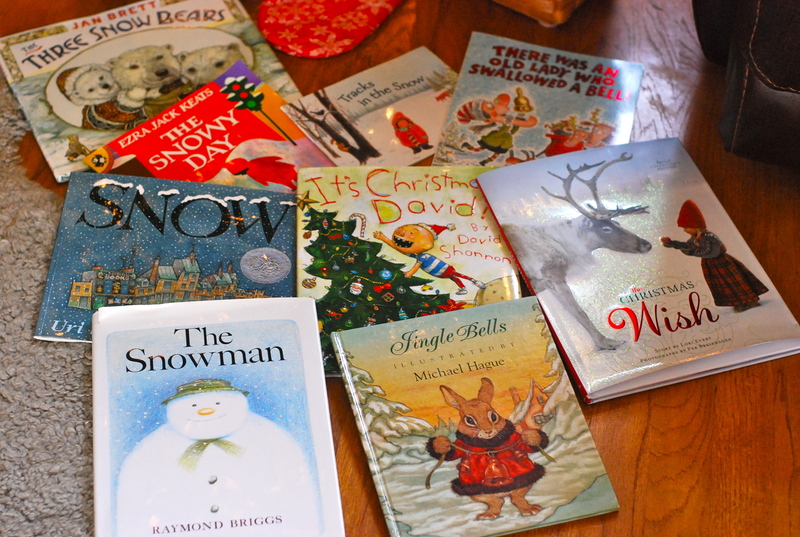 And this year (because of my preschool teacher stockpile of books), we are doing a new Holiday/winter book every evening. 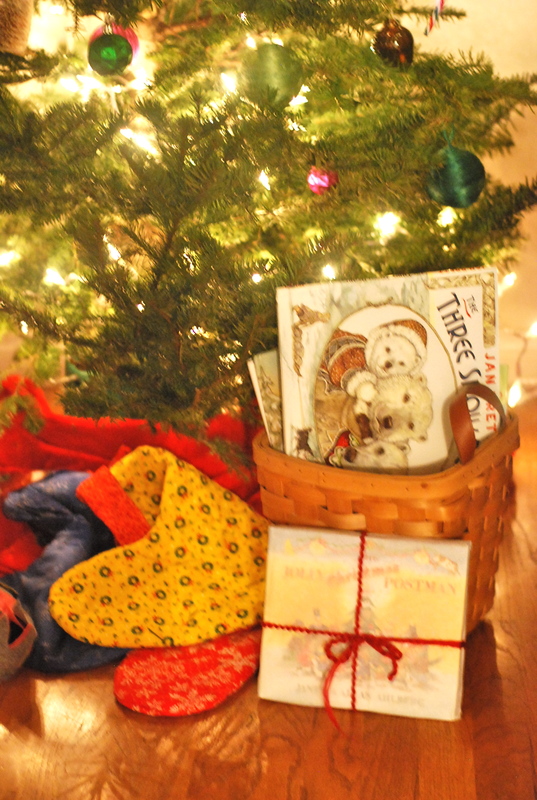 I keep those books under the tree in a basket. 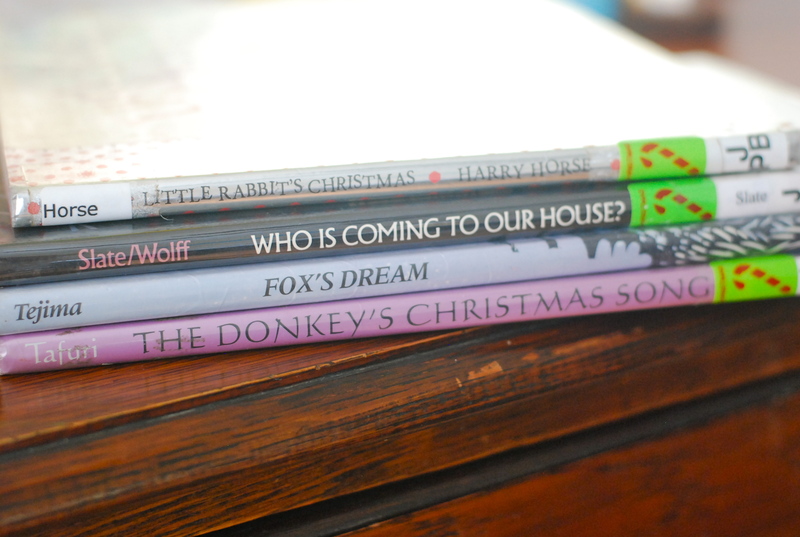 I’ll admit, I have a thing for children’s books and holiday titles especially, so I have picked up a couple new ones (or gently used) a long the way too. But this way, we will always have a big basket of books to bring out every year and what a lovely tradition that is. These are the books we have read so far. The Snowman has been a favorite as well as Tracks in the Snow and The Christmas Wish (a lovely photographic journey with a little girl who wants to be an elf). I’ve also picked up a few for when Ellie’s older. One in particular I’m thrilled about. 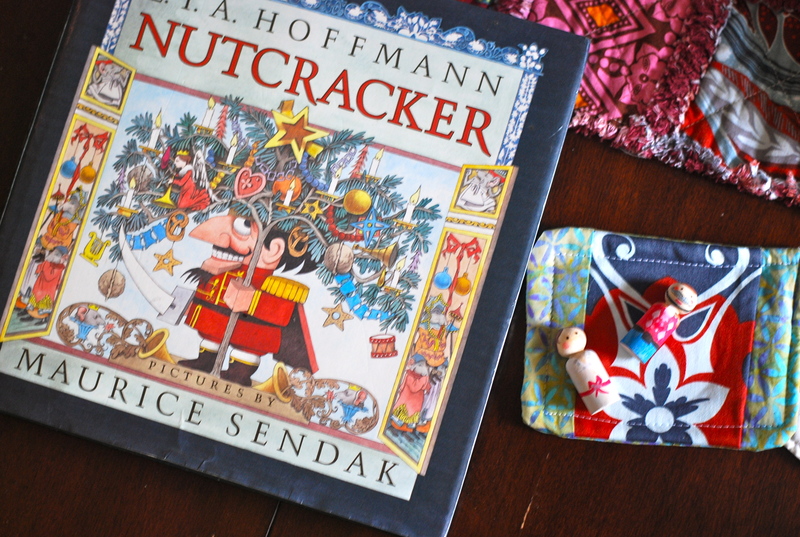 A gently used copy of Sendak’s version of The Nutcracker. I’m a sucker for anything Sendak. 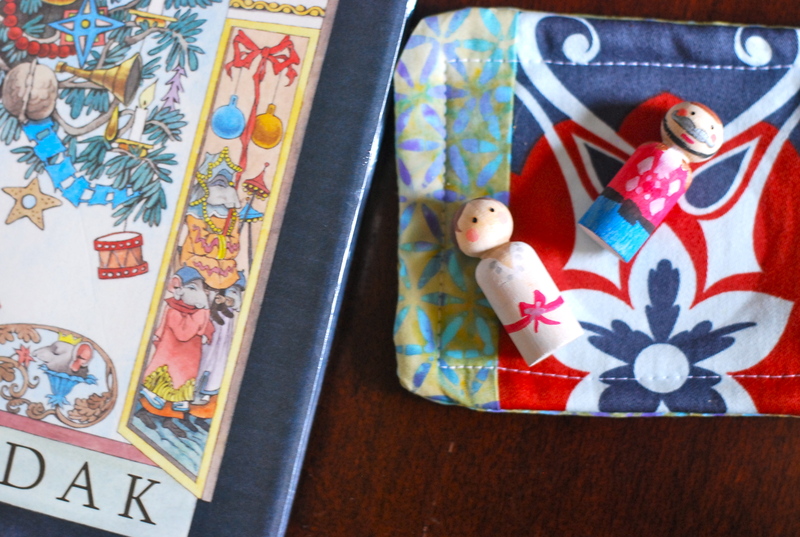 And of course, when a great book comes along, I tend to get inspired and want to create peg dolls to go with it. What are your favorite holiday reads? This entry was posted in Uncategorized and tagged christmas books, christmas stories, reading with children, winter books. Bookmark the permalink. I always appreciate some good book recommendations. We just did the advent stories from “Light in the Lantern”.